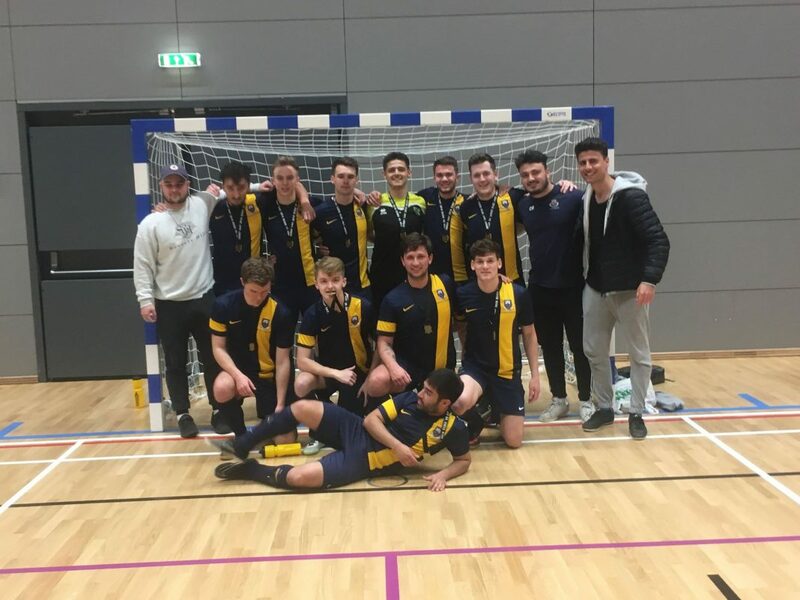 “UEA’s men futsal team stepped up to the plate and cruised to an 8-2 victory over their Essex counterparts. 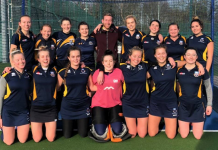 What started out as a close game, with the score level at one apiece at half-time, soon descended into an empathetic UEA win after the break, with UEA scoring four goals in a matter of minutes to take the tie away from their rivals. 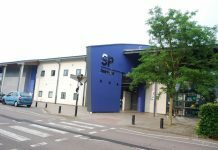 Such was the ease to which our boys strolled to the win, they even found time to pull off such showboating antics as a mazy run by UEA’s goalkeeper Ethan Scott and an attempted rainbow flick by playmaker Oscar Santos Bastos. An unfortunate own-goal from an Essex defender initially put UEA in front, before Essex equalised 5 minutes before the end of the first half. UEA did well to go into the break level, with keeper Scott pulling off a fantastic fingertip save onto the post just before the whistle. Even at the halfway point, it was anything but close from then on, with number 4 Sam Ballard finishing off a great pass from Oscar Santos Bastos to put UEA ahead in the first minute of the second period. Ballard then turned provider, setting up Chris Skingly, whose fine finish doubled UEA’s lead. Another goal from Ballard took the game away from Essex, making it 3 goals in under 2 minutes and all put winning the match for UEA. Just minutes later, Skingley got his second and UEA’s fifth, after he finished off a well-worked move from on the floor. Ballard pitched in with another goal, not long later, making it a hat-trick for the number four and all but confirming the half point for UEA. It all seemed to be getting too much for the Essex coach who granted, after some goading from UEA supporters, raised to the bait and was heard shouting expletives in their direction. You can’t blame UEA for being excited, their side was excellent and had the win in the bag. After another great save from Ethan Scott, UEA turned defence to attack and got their seventh after a fine chip over the Essex keeper by Mike Shaw. Sam Marrow sealed the win with a long-range strike into the bottom corner, making it 8! “The first event of the day kicked off in the Sports Arena with women’s futsal. Despite the home advantage, Essex supporters were outnumbered by our travelling fans. The first half was a tight affair, with both sides heading in 0-0 at the break. With the fire alarm situated directly behind the goalpost, it was no surprise to see it get hit and then signal the alarms when a UEA effort brushed wide of the goal. The second half was a far more interesting affair, as Essex took an early lead just seconds after kick off. However, UEA women were not phased, and began a period of sustained pressure on the Essex goal. Striker Millie Daviss worked hard up top, whilst Sofia Serghiou brushed a free kick just wide of the post. 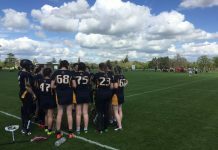 Essex women were struggling to maintain their lead, committing a string of fouls against UEA as touchline tensions rose. This culminated in a penalty awarded to UEA six minutes into the second half, following a foul on Kathryn Stanley. However a strong save from Essex keeper Enya Tooke saved their 1-0 lead. Fearless defending from the likes of Sofia Serghiou and keeper Emily Cockrill kept UEA hopes alive as we maintained pressure around the Essex goal. With two minutes to play, UEA called a team talk in one final attempt to force extra time. Massive attacking pressure from UEA left them vulnerable at the back, which Essex capitalised on in the final minute. Next articleShould cheaters be allowed back in the ring?